"Coming soon" so like, December probably right? Will there be a B-side? Erm... I thought the covers album was supposedly coming out next month (March) ? Why release a single from a reissued album that came out two months ago? A new Moz b-side is good news indeed. 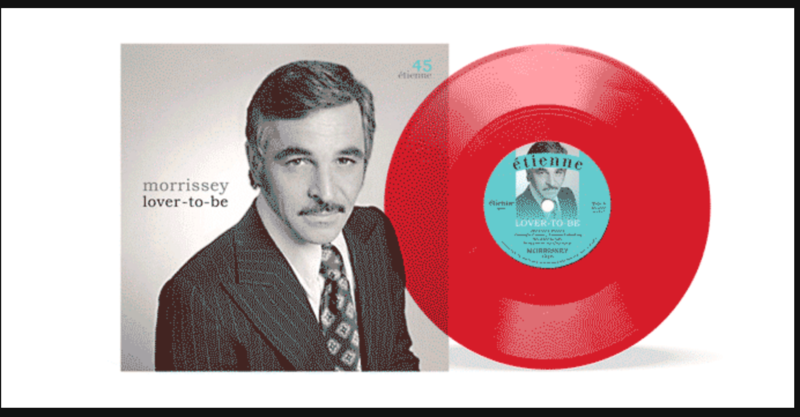 Vibrant red vinyl and a classy sleeve. It’s a single. It has an A-side and a B-Side. I cant believe Mozzer loved "Double Trouble" as much as I did growing up! Did they broadcast American sitcoms on the BBC in the 80s? Better than a box of chocolates. Do you suppose these singles actually make money for him? Remember, we’re still waiting for that reissue of ‘World Piece..’, could be years before this single is released!